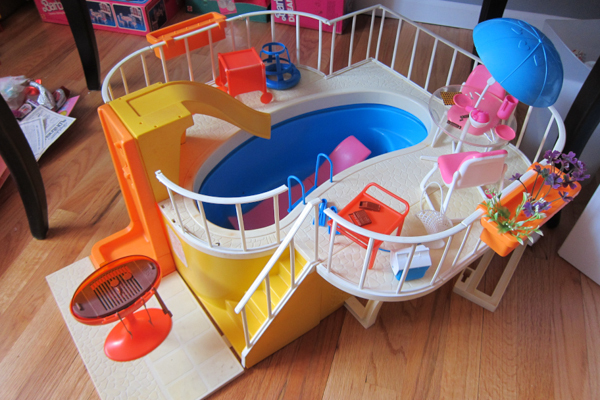 Throwing Away My Childhood #2: Furnished Barbie Dream Pool with Plants! Man, I loved this thing as a kid. Sold it on Craigslist this morning to a lovely woman who was thrilled to give her favorite childhood toy to her own daughter. Adorable! It’s from the 1980s. You’d have to find it on eBay.